Week 2 of the November Gobbler Gaming Giveaway starts now! Thanks to NVIDIA and the Tegra Zone, we are handing out a total of 4 tablets to the fine folks here at Droid Life over the next few weeks. We gave one away last Friday, but there are still 3 more up for grabs, including two at the end of the month that have been bundled with Jawbone Jambox speakers and $25 gift cards. It’s going to be a wild finish to the end, so be sure to check back often for details on the latest event. For this week though, let’s see what we have in store. 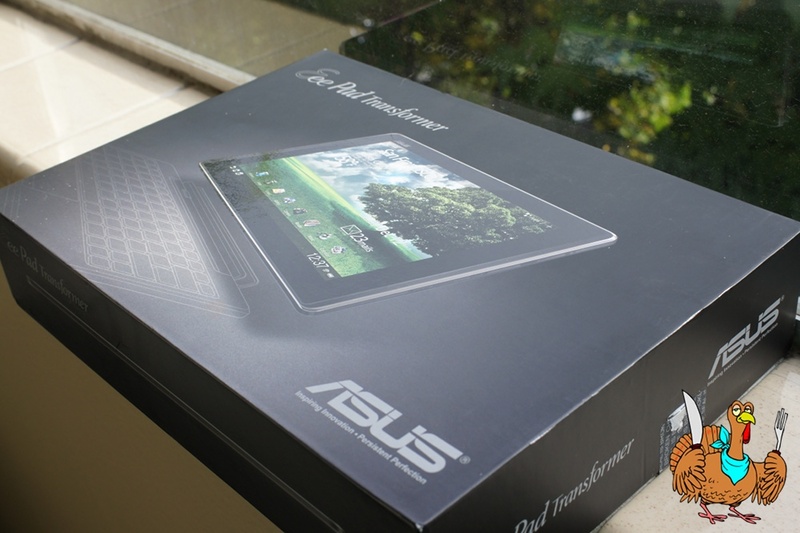 Up for grabs in week 2 is a brand spankin’ new Asus Transformer, arguably the most popular Android tablet on the face of the Earth. Running a Tegra 2 dual-core processor, with 1GB of RAM and a beautiful 10.1″ display, there isn’t another tablet out there that gets updated as frequently. If there was one tablet we almost always recommend that people check out, this would be it. So who wants one? 1. “Like” both the Droid Life and NVIDIA Facebook pages. 3. In the comments, tell us what you would primarily use a tablet for. Gaming? Video watching? Traveling entertainment? Work? Or something else. You will have from the time of this posting, through Friday (11/11) at noon (1PM Pacific) to enter. U.S. entries only. One winner will be picked randomly on Friday (11/11) at 1PM and announced shortly thereafter. The winner will be contacted through their choice of entry (Twitter, Facebook or comments). Huge thanks again to NVIDIA for hosting the prizes!